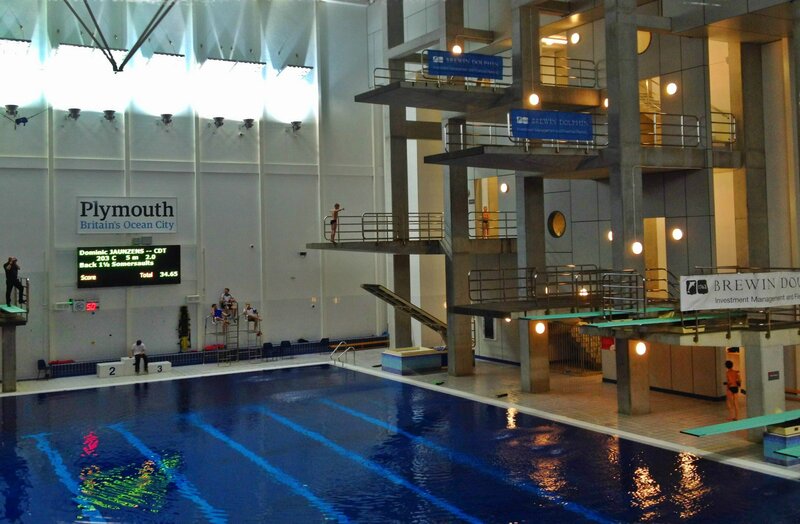 PLYMOUTH Diving enjoyed a highly-successful trip to Dublin to compete in Irish Open Championships at the weekend. The Life Centre-based club returned home with a staggering 28 medals across all the different age categories. Leading the way was Oliver Heath who dominated the boys’ E2/D section by winning three golds in the platform, one-metre and three-metre events. His team-mate Theo Stevens won silver behind him in the two springboard competitions and took bronze in the platform. Scarlett Colbourne won a gold (three-metre) and two silver medals in the E2/D girls’ category. Ellie Pearce claimed a medal of each colour in the girls’ C division. She won the one-metre event, took second in the platform and third in the three-metre. Her club colleague Katie Martin joined her on the podium in the one-metre by taking third. Martin was also fourth in the three-metre. Maria Marasescu also enjoyed a good competition. She won the girls’ B platform title and took bronzes in the two springboard events. There were also gold medals for Evan Walker (Novice E boys), Yvie Tucker (Novice E girls), Archie Waines (Novice D), Megan Angell (Novice B) and silver medals for Eva Lang (Novice E girls), Abby Fishleigh (girls’ A platform) and Phoebe White (Novice D). Connor West claimed a good bronze medal in a strong men’s three-metre competition, which was won by European and Commonwealth medallist James Heatly, with Great Britain junior international Oliver Crompton second. West nearly picked up another bronze in the men’s platform, but was just edged off the podium by his Plymouth team-mate Tom Davis. Davis scored 277.90 points, with West collecting 277.70 points. Jack Kinsman-Moore picked up three bronze medals in the boys’ C events. Cody Powell-Tuckett just missed out on a medal in the women’s one-metre competition, where she finished fourth. She was also fifth in the three-metre final. William Heath was another diver to just miss out on a medal by finishing fourth in the novice E boys’ event. There was also a fourth-placed finish for Evie McCabe in the girls’ B three-metre. Harlie Stringer, Sophie Milmore, Elizabeth Westerman, Amelie Moor, Jacob Angell, Joshua Hughes, Josh Gibbs, Calvin Kimmelbein, Maia Pearson, Polly Evans and Lily Walker were also part of the successful Plymouth Diving team in Dublin.